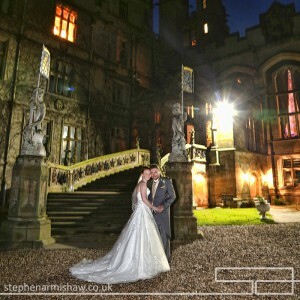 I do enjoy a Cave Castle Wedding day – and as one of the East Riding’s leading wedding photographers, I have photographed over 1350 beautiful weddings in many of the regions top venues. 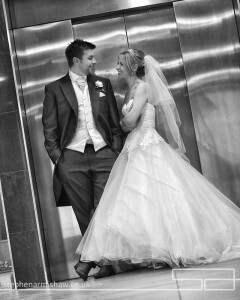 Shooting at Cave Castle Hotel is always one of the highlights, having captured nearly 200 weddings there. 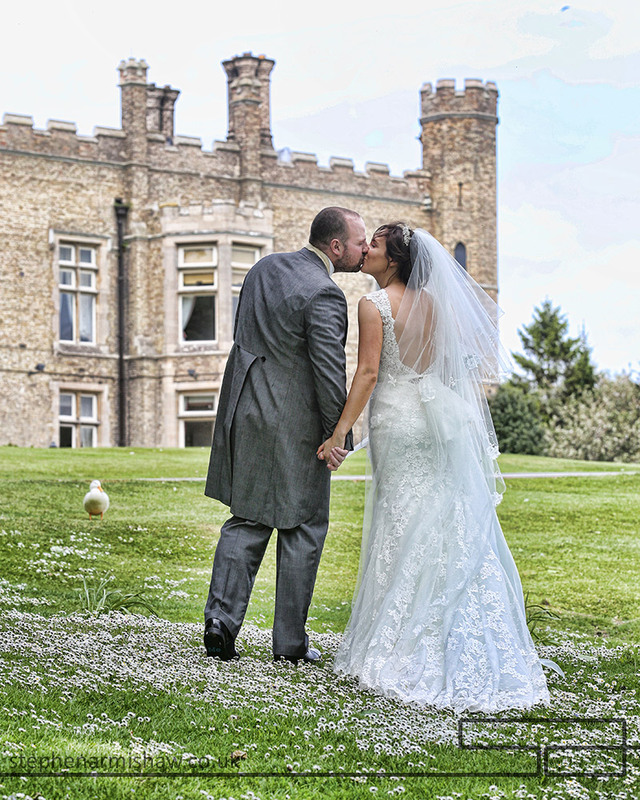 Todays blog is a focus on Vicki and Christos, who are a lovely couple that chose this great venue for their wedding day – thankfully, with Vicki’s eye for detail, and Christos’s Greek family, their East Yorkshire wedding at Cave Castle was always going to be a great day out! Starting at Vicki’s parents home to record the relaxed bridal preps, we made our way to St Martins Church where once again I have worked at many times, for a lovely service with sunlight filling the Hall. 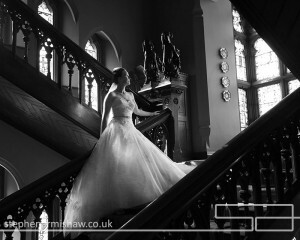 After some relaxed groups outside, I then took the couple back into the Church to capture some stunning images and give them a few minutes alone to take everything in! Vicki works at Lister Mercedes and they had given the couple 2 top end cars for the day, which then whisked them away to Cave Castle. I’m sure I’ve said it before on the blog, but they really do have some incredible cars! After a much needed drinks break in the sunshine, I took the now totally relaxed couple for a photo session in and around Cave Castles beautiful rooms and gardens, (brilliantly assisted by the Cave Castle wedding coordinator Leanne!). Vikki looked incredible in her Deborah Moore wedding gown and flowers were by her Father (oh and Christos also scrubbed up well!). Knowing this venue and its many hidden photo opportunities so well, means the weather and time don’t affect my capturing stunning images every-time. 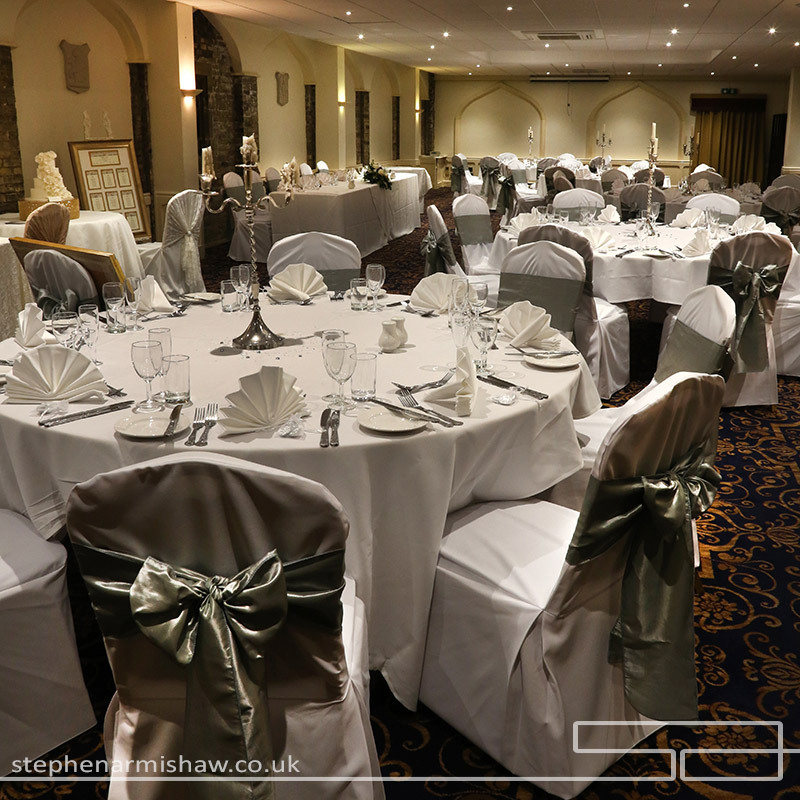 Fantastic food, top staff and, Steve Haynes one of the best toastmaster in the business, all came together for a great wedding breakfast, followed by a banging night of partying with my customary beautiful relaxed evening and night time photography. 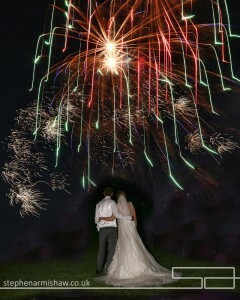 Celebrations like these are what make being a top Hull and East Riding wedding photographer such a pleasure! 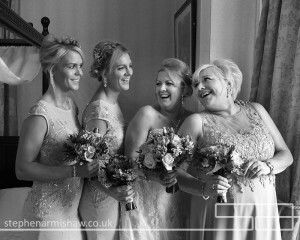 I’ve put a few images from this lovely wedding below and please checkout my pinterest portfolios in stephen armishaw photography. Lovely month with two Carlton Towers and Beverley Racecourse Weddings and portraits, but mainly through having 10 days on the Costa del Sol organising weddings, shooting landscapes and knocking the white ball around the fab golf courses out there. 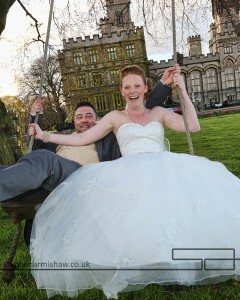 I love capturing East Yorkshire weddings but destination wedding photography is always great fun in the sun! Chris and Sally’s stunning Carlton Towers wedding was an absolute pleasure to shoot and perfectly suited my relaxed, easy going style. 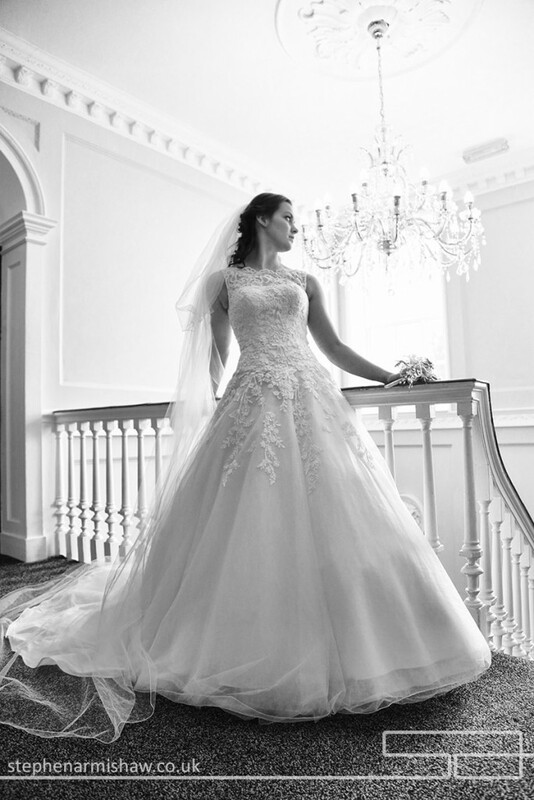 Sally glowed in Her Bride & Co wedding dress and lovely flowers by Orange Blossom in Cottingham, and as usual Carlton Towers looked fabulous with helpful and knowledgeable staff. 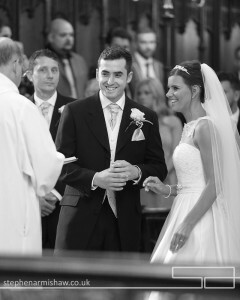 The wedding was videoed by Phil Wilson, another top pro who I work with on many of my lovely East Yorkshire weddings. 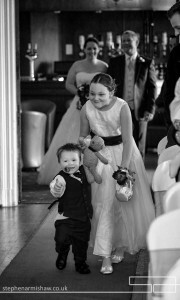 The couples up-for-it children were a treat with their eldest walking Sally down the aisle, and they certainly knew their moves on the dance floor during the evening festivities! 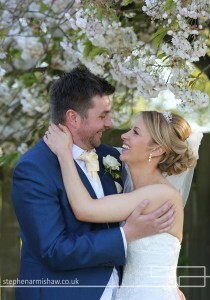 Frances and Ross’s lovely wedding was at Beeford Church and the reception at the newly refurbished Beverley Racecourse. 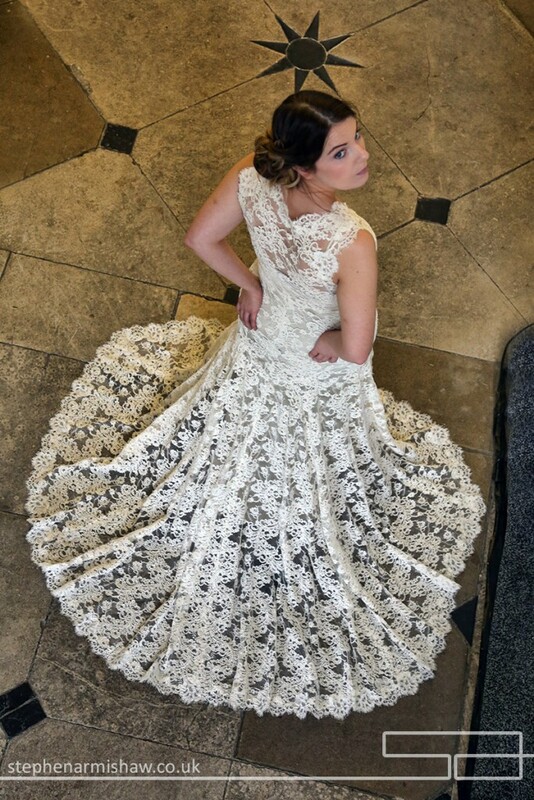 My Beverley portrait studio is only 5 minutes down the road from this unique wedding venue and have worked there many times before. 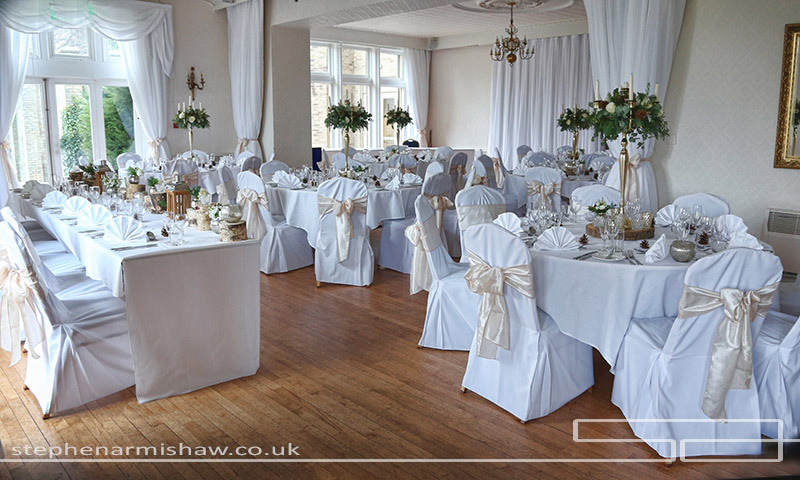 The refurb looks fantastic and its easy to get a very different and unique look to wedding photography there. 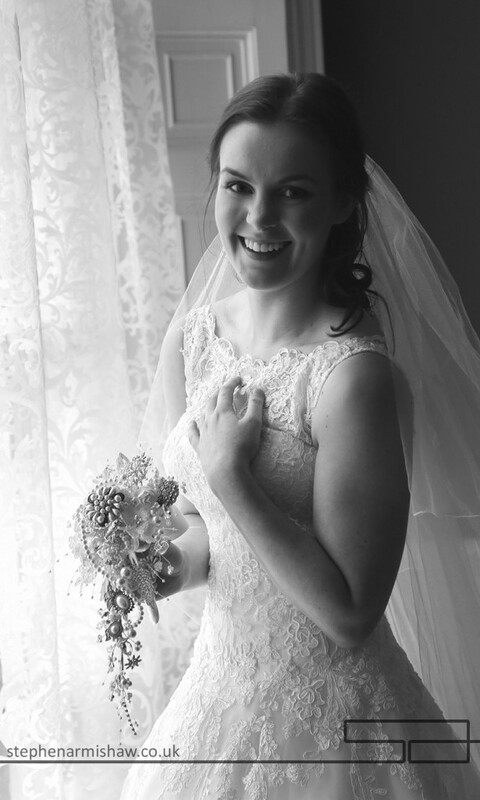 Frances looked stunning in Her Jacquelines of Beverley wedding gown (read the many comments on my facebook page stephen armishaw photography) and flowers by one of Her friends at the Daisy Train. 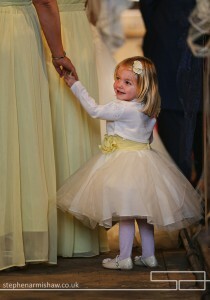 I love Jacquelines dresses! Fantastic evening with the top band Ordinary Men blasting out the tunes and a great group of guests who knew how to party!! 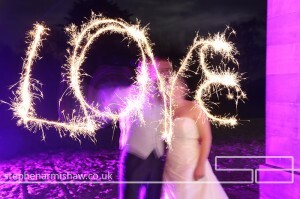 Please checkout my portfolios for both of these fab wedding venues in this sites portfolio section and https://uk.pinterest.com/stephenarmishaw/ and I have placed a few images from the weddings below. Enjoy!! 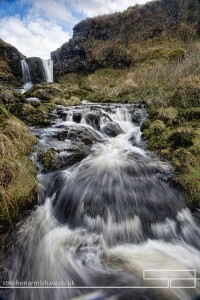 March’s Mix of Weddings, Portraits and Landscapes! 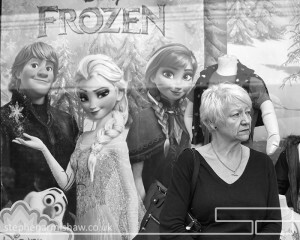 As one of the leading professional photographers in Beverley, Hull and East Yorkshire, its always nice to get the work/play mix right. 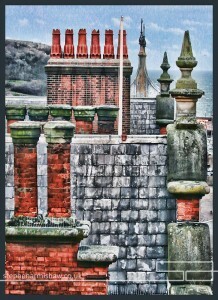 Luckily I love capturing beautiful photography so much, work and play blends in one! 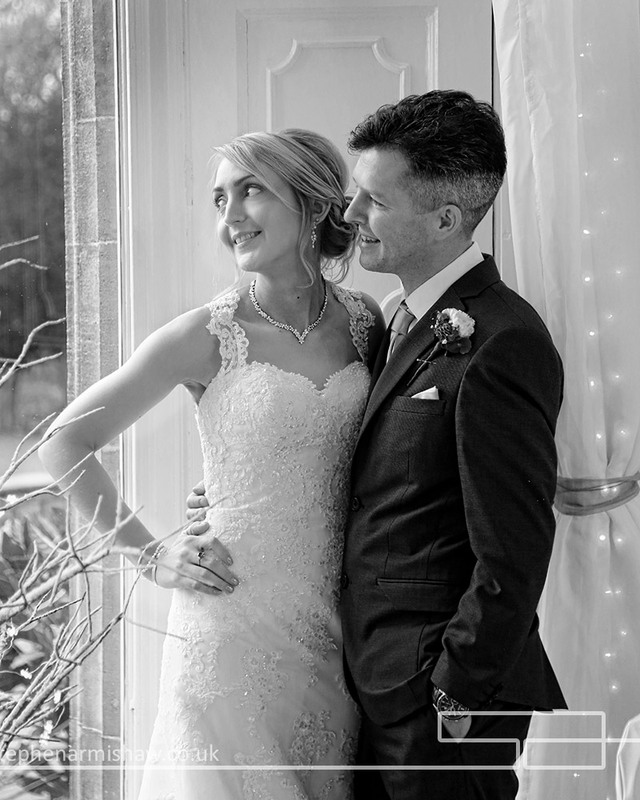 The last three weeks are a prime example with 3 lovely weddings, lots of relaxed portraiture at my modern Beverley (nr Hull) studio, capturing Beverley characters for one of my personal projects and a trip to Scotland to capture stunning landscapes for my art/landscape library. 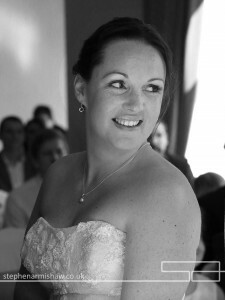 Weddings, portraits and landscapes all in a few weeks, Heaven! 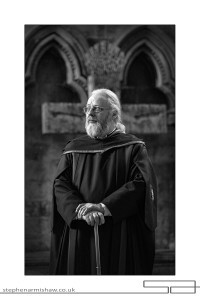 I have been shooting Beverley characters and personalities for one of my personal projects for quite sometime and my latest is a good friend and Verger at the Beverley Minster, Neil Pickford. Gradually working through my list! My landscape photography trip to Scotland was an absolute pleasure with the weather showing its usual flexible self, and allowing me to capture all the moods this beautiful area has to offer. The Campsie Hills and the Loup of Fintry are areas often over looked by Landscape photographers travelling North, but well worth the visit as you can see below. 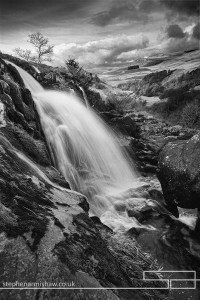 Took in an exhibition of Ian Lawsons landscape photography work from the Isle of Harris in Penrith on the way back. Well worth the visit. 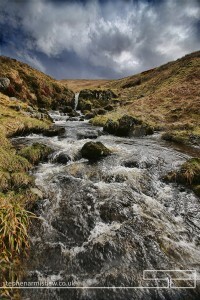 Please checkout my art and landscape photography work in this site under art and landscape portfolios. 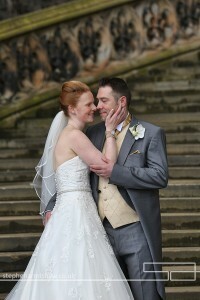 As I said, it’s been weddings, portraits and landscape,s all in the space of a few weeks during March this year. Its a tough one but somebody has to do it! 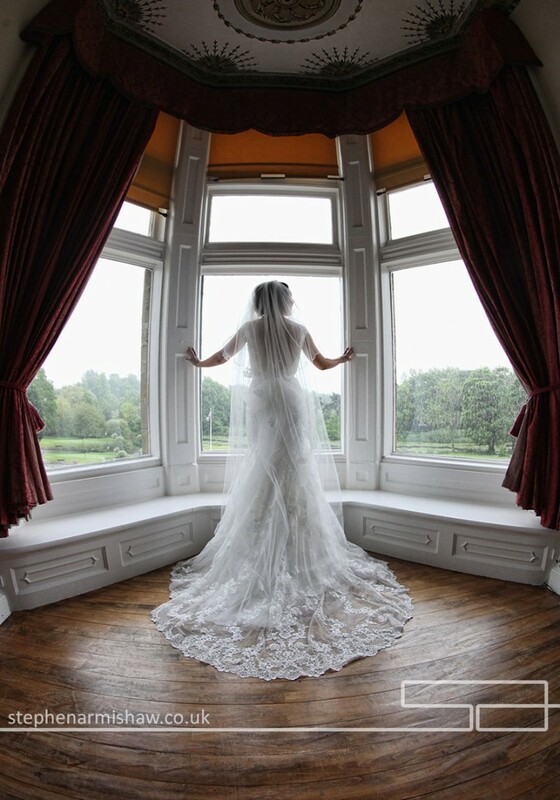 /One of the great pleasures with my job as a leading East Yorkshire wedding photographer, is working at some of the regions top venues. 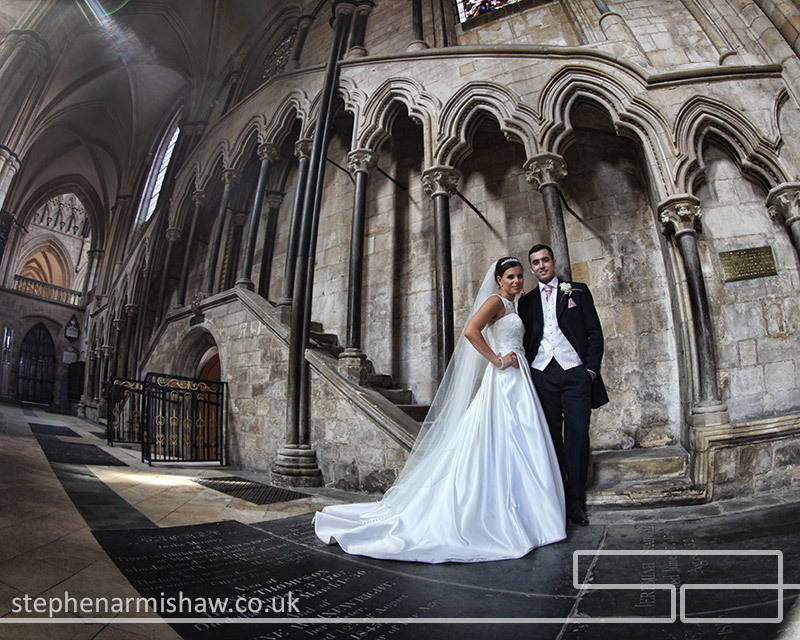 At my last two shoots it was lovely to capture great couples at both Beverley Minster and Cave Castle weddings. 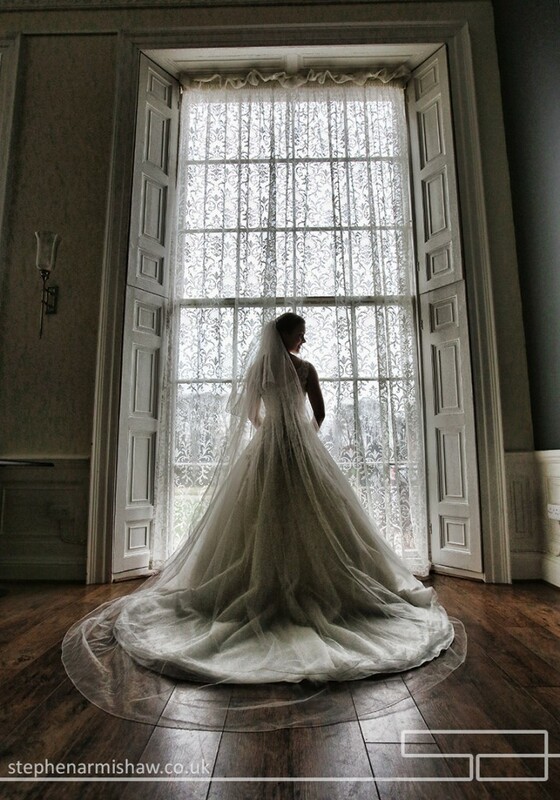 Having worked at these beautiful venues literally hundreds of times, both were an absolute dream! 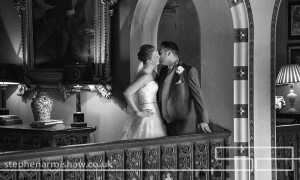 I captured Sam and Chris’s wedding photography at the picture perfect St Peters in Hutton Cranswick, nr Driffield, and after a relaxed session capturing the stunning black and white wedding images inside the church I am well known for, the happy couple were whisked off to the stunning Cave Castle Hotel. 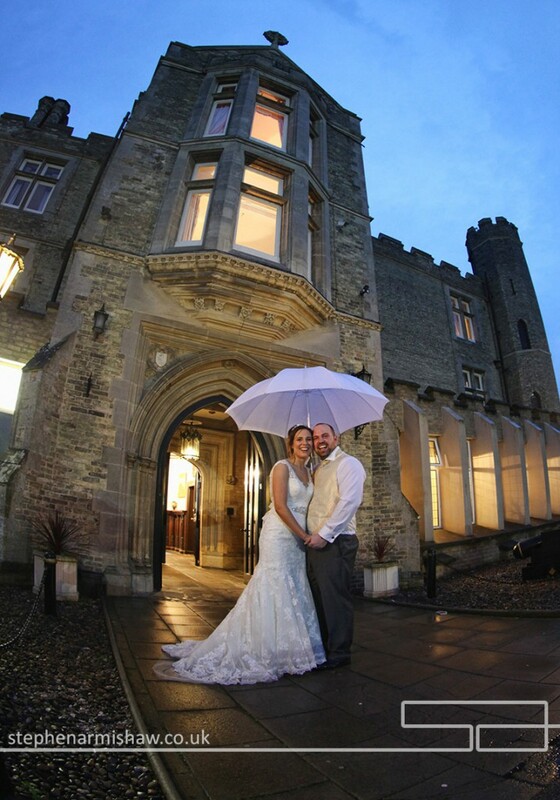 As Cave Castles recommended wedding photographer, I know all the nooks and crannies that this lovely location provides, so a touch of inclement weather didn’t stop us getting our usual lovely images! 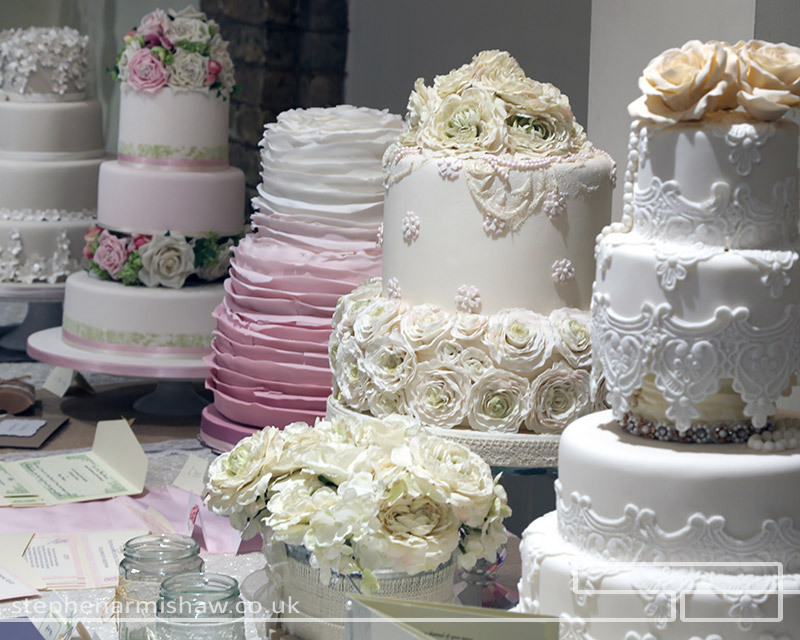 The decor and cake was by the fabulous Jill Fisher at Eventuality, so the wedding reception room looked fantastic, and with Caves helpful and knowledgeable staff on hand, the day and evening flowed perfectly. 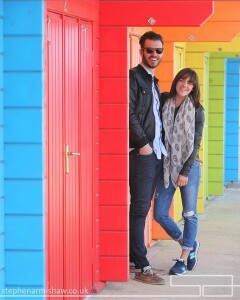 We finished late in the evening with an available light shoot my couples love! 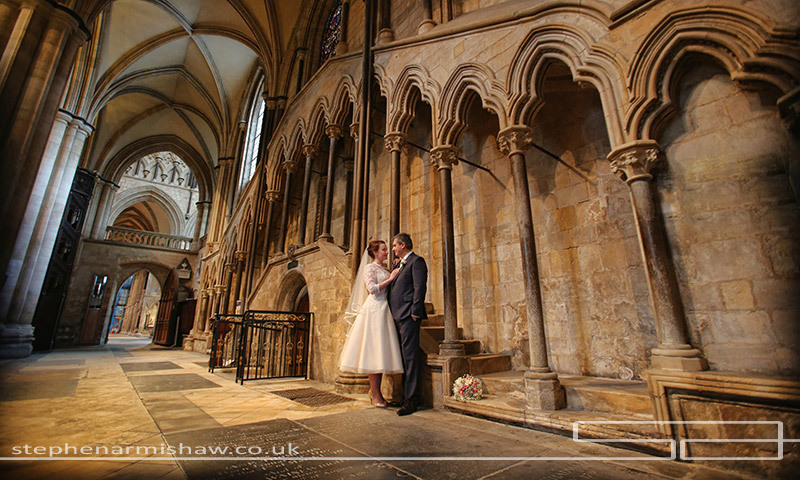 Charlotte and Mark’s celebration started at the iconic Beverley Minster, a venue I have plied my trade as a top Beverley photographer, many, many times. 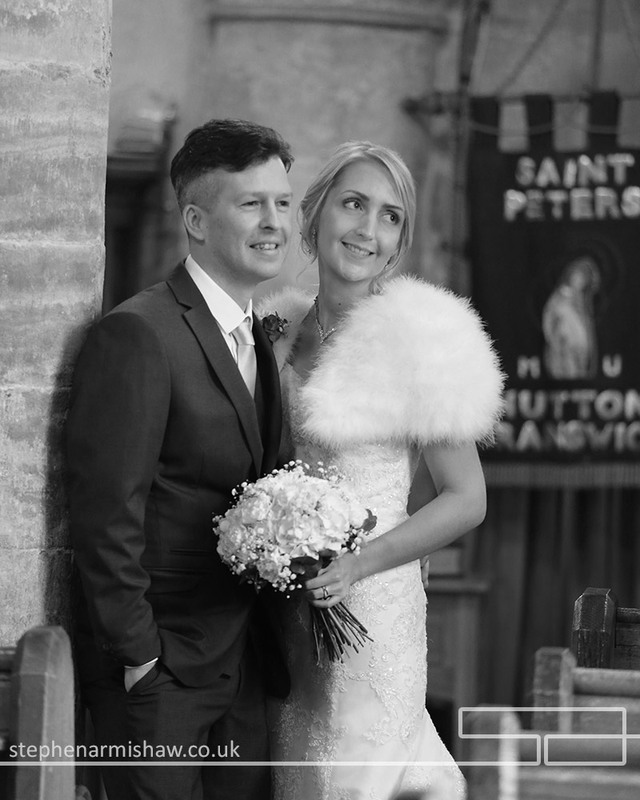 A couple very much in love, and a dress from the amazing Deborah Moore, made my job capturing beautiful, relaxed images, an absolute pleasure! After an emotional service, we moved across the road for a very different and relaxed afternoon tea reception at the Beverley Friary, a venue not often used for weddings but fabulous for my different and relaxed wedding photography style! 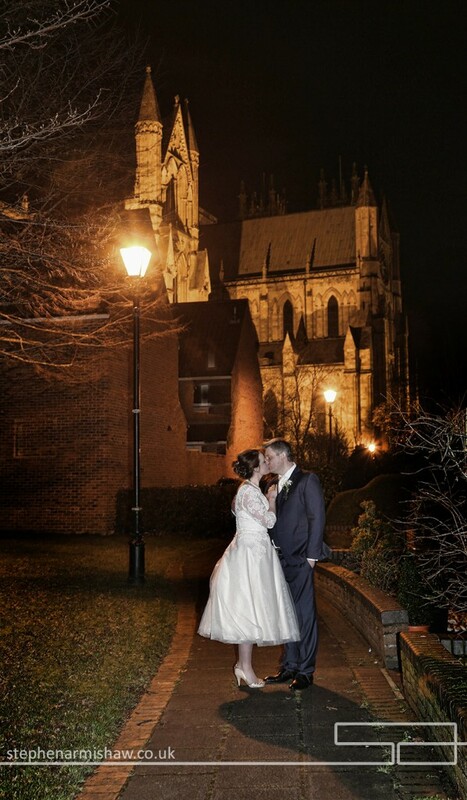 With one of the best stocked ‘real ale’ bars I have seen, great wedding reportage images were guaranteed, and once again we finished late with an night shoot with the Beverley Minster filling the sky! 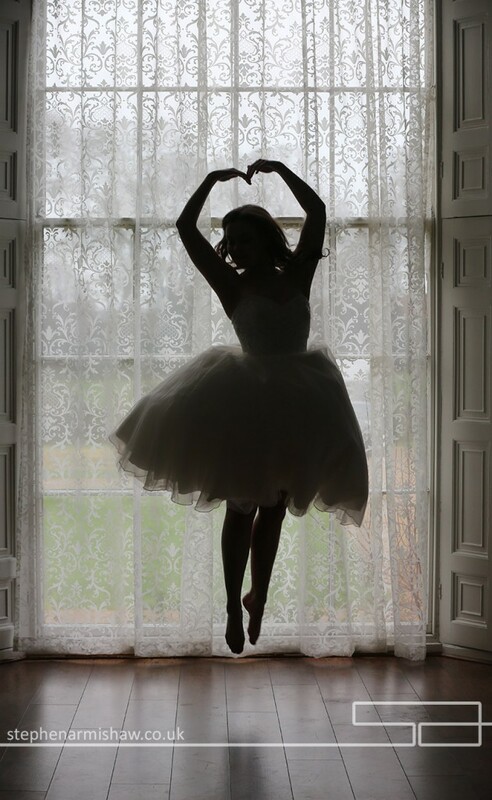 As a leading Beverley wedding photographer with over 1300 weddings to my name, its always a pleasure to get together with like minded East Yorkshire wedding professionals for a themed photo shoot, and the shoot with Society Weddings at Norwood House certainly was one of those! 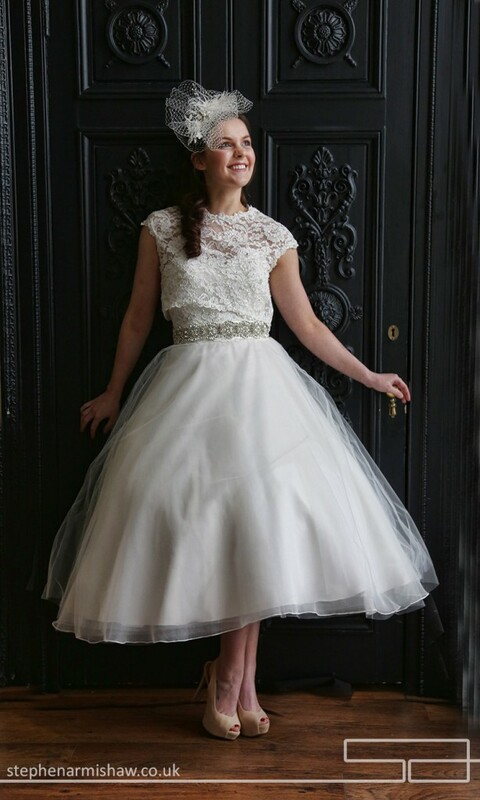 Lots of laughs and wedding stories were exchanged as we captured a selection of beautiful bridal dresses inside this fabulous location, taken in my well known contemporary style. The lovely Kate from Bridal Reloved in Beverley (and other locations!) did the organising and put the whole thing together in a matter of days, showing it can be done! Her top assistant Zarina was constantly on hand to sort and help as usual. 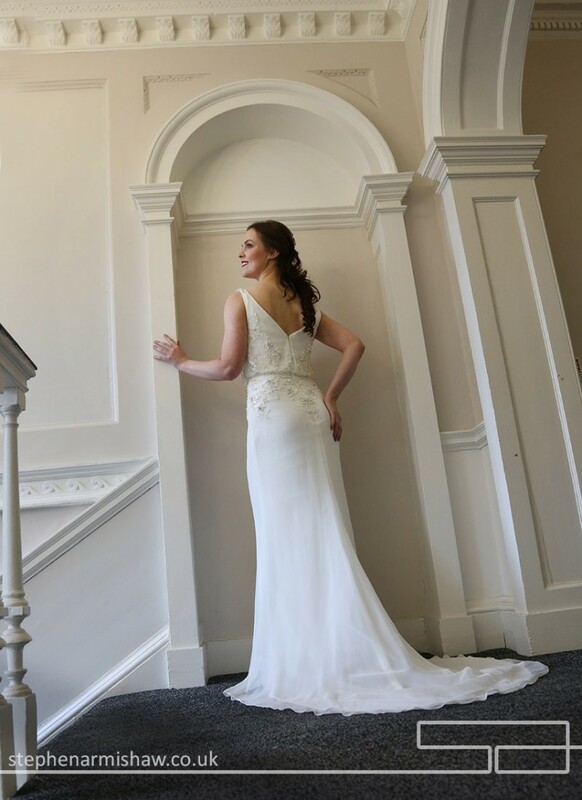 Shooting Kate’s fab wedding dresses is not a hardship, so to have two lovely models, Samii Dixon and first timer Justine Fisher to show them off was a dream! Makeup was by my good mate and top MUA Louise Shepherd who works on many of my East Riding weddings and model portfolio shoots. Brilliant work as always Lou! 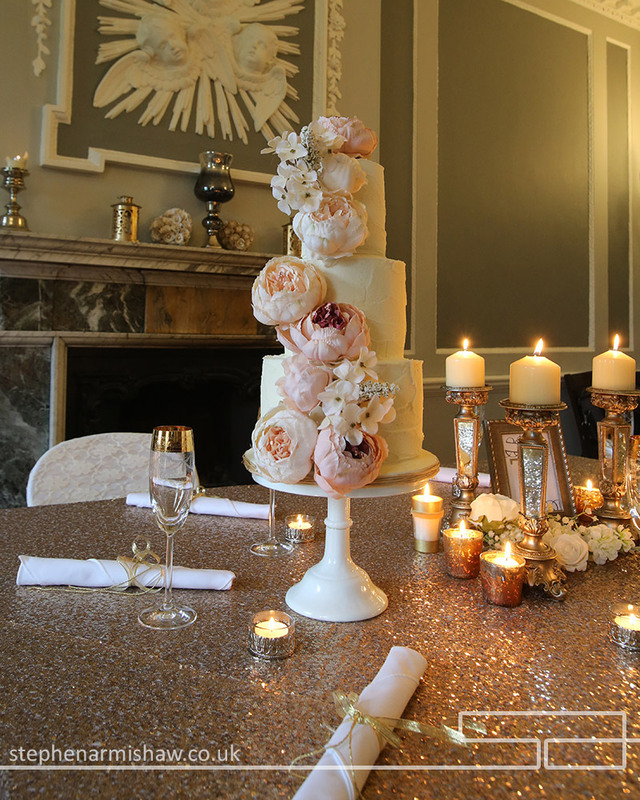 the beautiful table place settings and decor was by Liz Ewing, and the props where finished off with a stunning cake by Helen of Crofts Cakes. 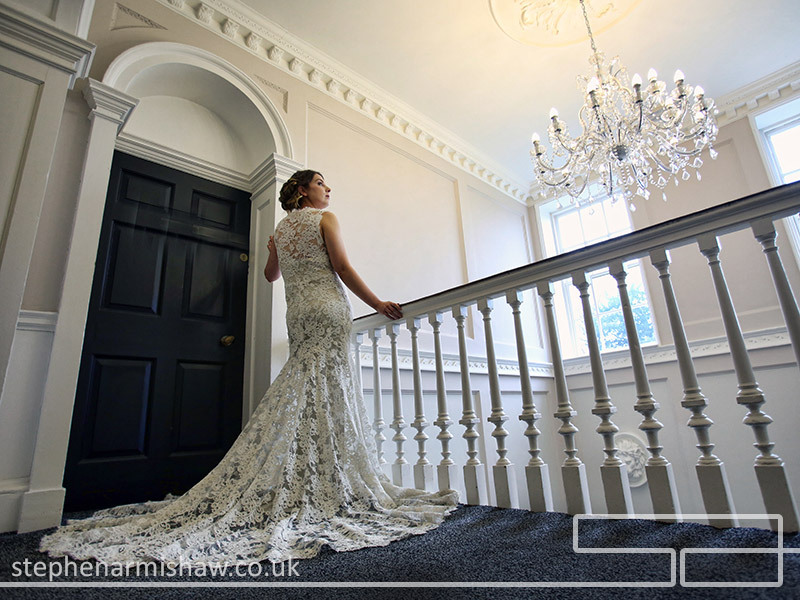 Society Weddings at Norwood House is Beverley’s latest wedding venue, and looks to be going from strength to strength, with lovely light filled interiors and spacious grounds, perfect for my relaxed and contemporary wedding photography. I can’t wait to capture some stunning weddings there. 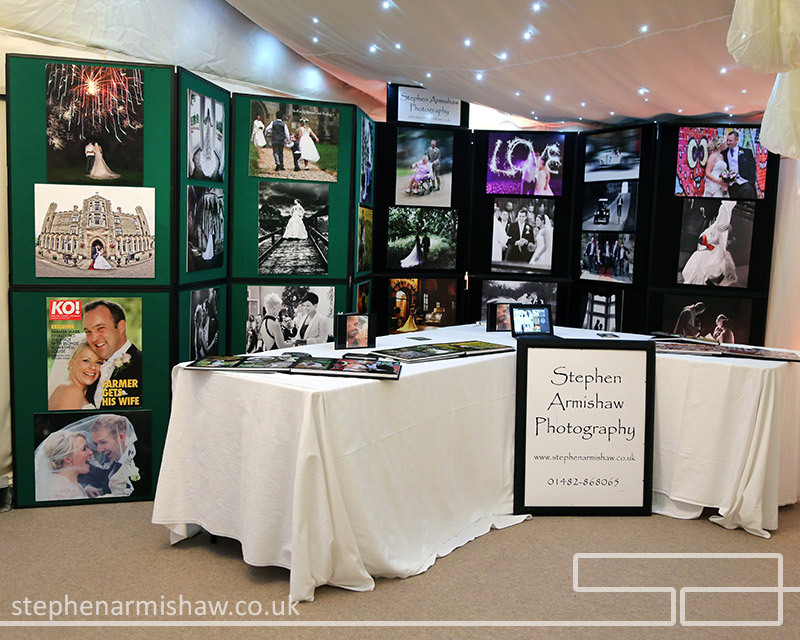 Its always a pleasure and an honour to be invited to showcase my distinctive and relaxed wedding photography at local venue open days – and the recent Cave Castle Hotel and Florida Marquees Open Days were certainly no exception! 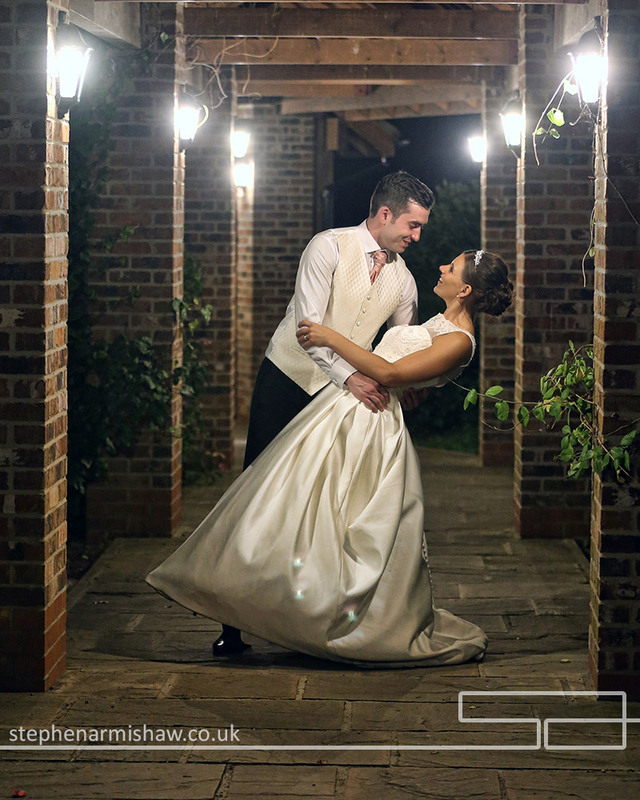 As a leading and innovative wedding and portrait photographer based in Beverley, its no surprise I have captured hundreds of weddings at the Cave Castle Hotel in South Cave, right in the heart of East Yorkshire. 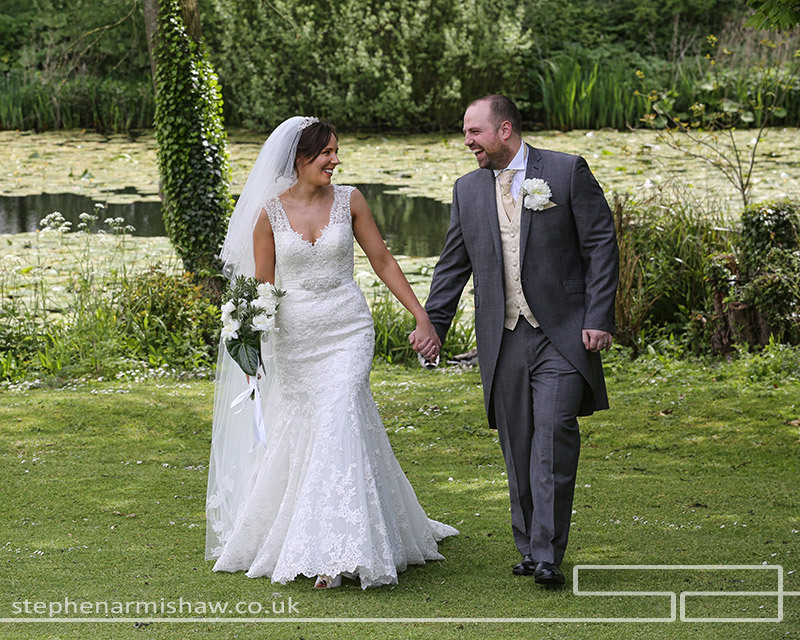 Stunning grounds, top location and very knowledgeable staff make it easy to create wonderful memories for my clients. 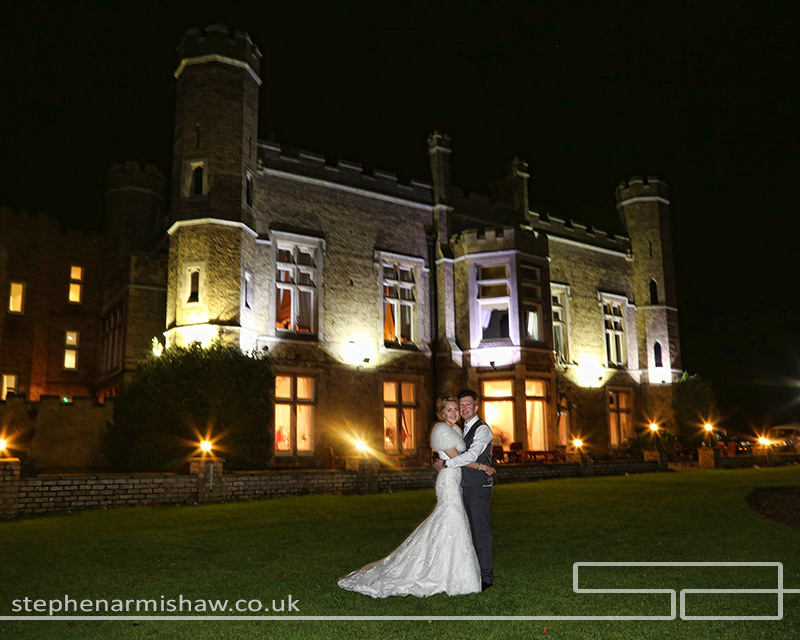 The Cave Castle wedding open day was a showcase of Cave’s fantastic amenities and room setups and a chance for clients to see their invited recommended suppliers. The brilliant Jill Fisher of Eventuality and top florists The Floral Lounge set up the stunning rooms, Mike Wall toast master was there to assist (as always!) 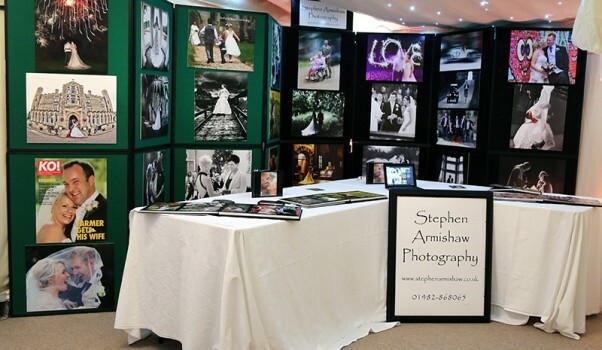 and of course myself – Stephen Armishaw Photography! It turned into a very successful and relaxed day (and evening!) at one of my favorite East Riding wedding venues. As always, Florida Marquees and my beautiful contemporary wedding photography go hand in hand, providing top class and relaxed wedding days for our discerning clients. 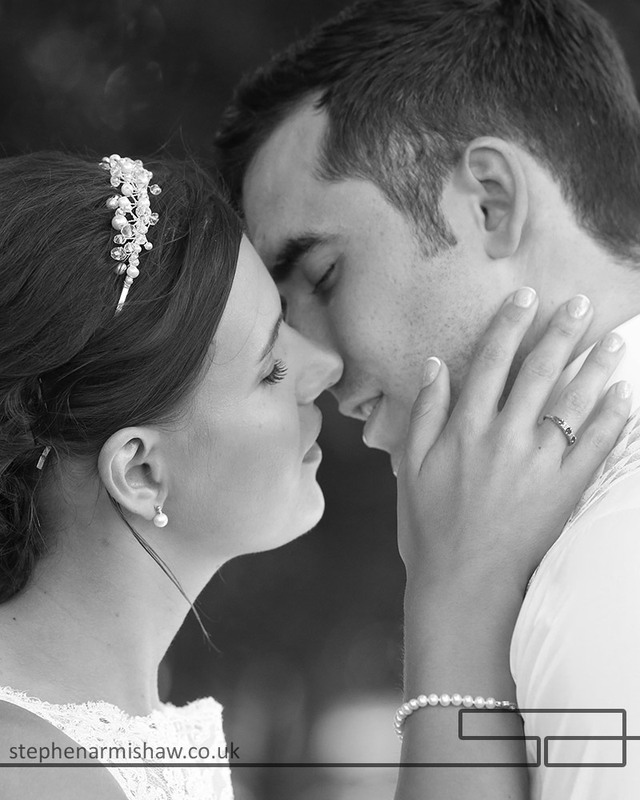 As one of only two East Yorkshire wedding photographers invited, working with their top informed staff is of great pleasure every time. 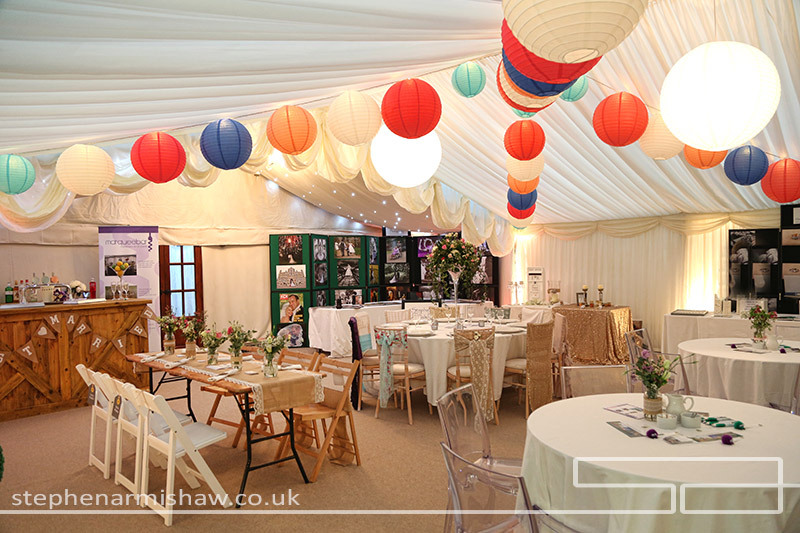 Florida Marquees open day was in fact a full weekend to enable the many clients who visited time to chat and relax with a beautiful 3 room set up. The stunning decor by Jill Fisher of Eventuality and Liz Ewing was breathtaking, fabulous food from Saunts Catering and the carefully chosen recommended exhibitors including The Fireworkers, Casino Knights, Gladstone Jewellers and of course myself, amongst many others, added perfectly to the ambiance. 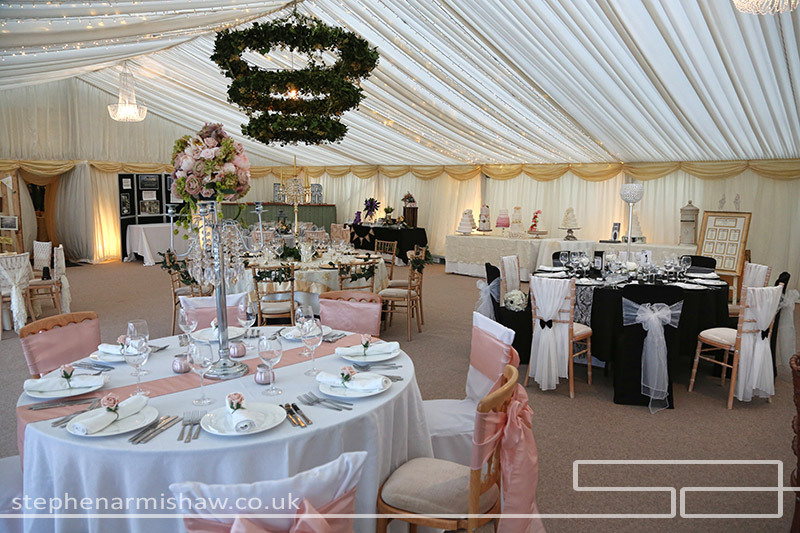 Great to see some of East Yorkshires top wedding suppliers together in the areas leading marquee providers wonderful venue. 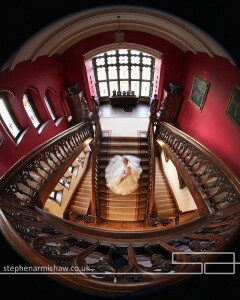 A busy and enjoyable weekend with a lovely company and a great venue! A Happy Photographic New Year!! 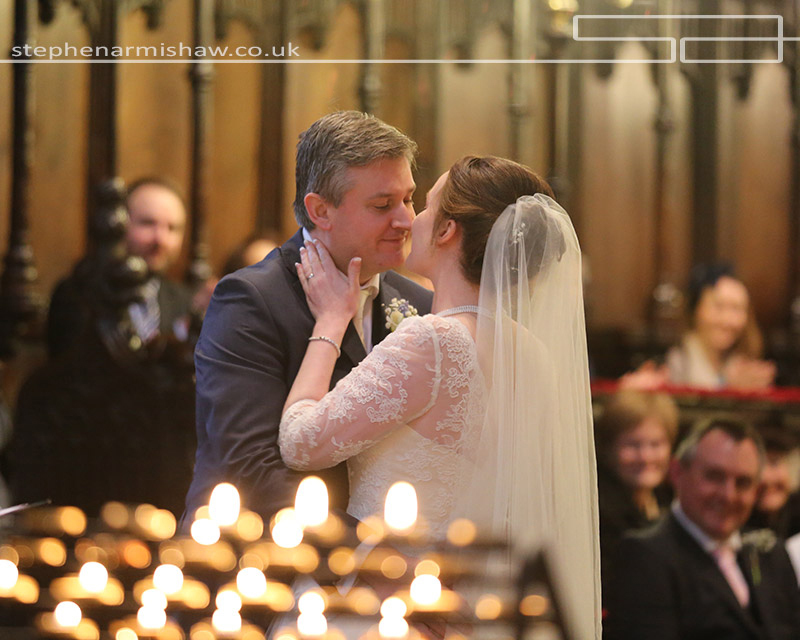 As a new year starts as a leading East Yorkshire photographer, its always nice to look back on another great year of photographing weddings & portraits. Thinking back to all the beautiful weddings, relaxed portraits, stunning landscapes, and creative artwork from the past 12 months reminds me that I’m lucky enough to live the dream of earning a living doing what I love, creating stunning imagery for my clients (and myself!) and 2015 was another amazing year of doing just that. 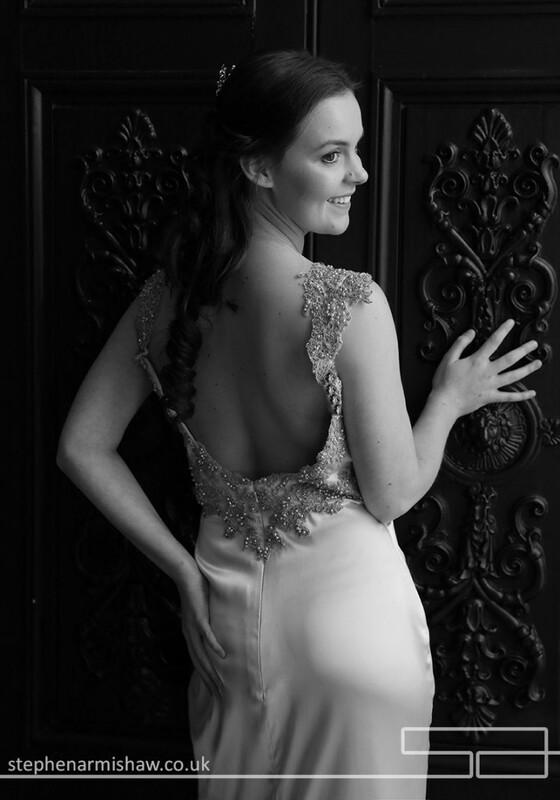 I’ve worked hard over the last few years to build up my reputation as one of the busiest wedding photographers in Yorkshire, and this year I also aim to focus my attentions towards what is already one of the areas busiest photography studios – my intimate portrait studio based in the lovely town of Beverley, East Riding. 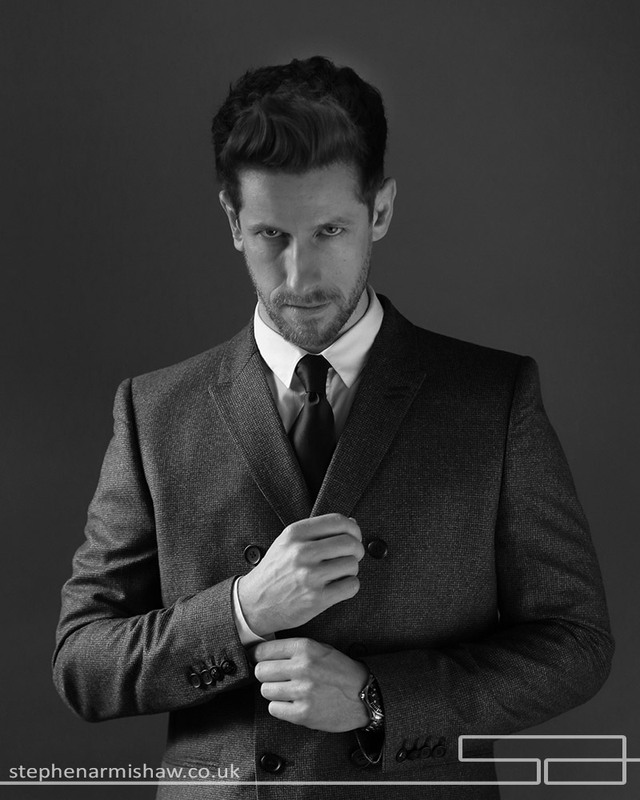 I will certainly be spending more time on this area of the business throughout 2016, and as you can see from my portraiture portfolios here, my studio work is very relaxed and unique. 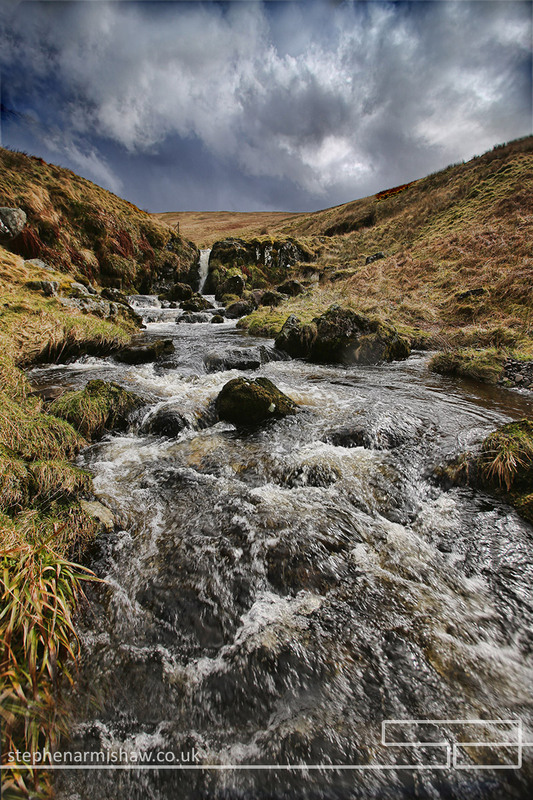 My artwork and landscape photography will also be taking more prominence with more exhibitions and some great new projects, all planned and ready to go! 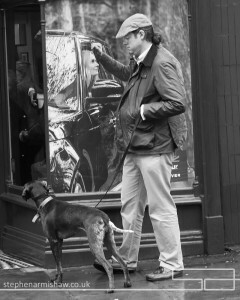 In 2015 I have had a big focus on a number of social media networks; with my new Instagram page Stephen Armishaw Photography up and running for an insight into my day to day life, plus new galleries for most of the popular venues are now included in my very comprehensive Pinterest site. And that’s not forgetting my Facebook and Twitter accounts which are updated almost every day, please check them all out and give me a follow! 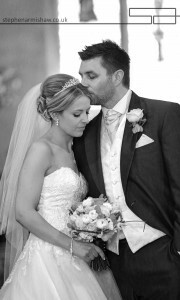 My Weddings and Portraiture FAQ sections on my website continues to be a popular source of honest information and advice, helping many clients choose their photographer. 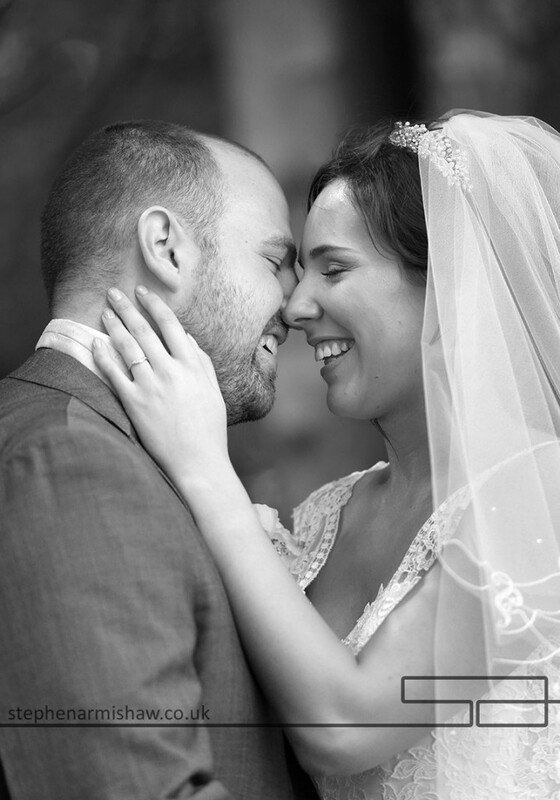 Having captured over 1350 weddings, my portfolios on my website are specific to your possible wedding venues and some of the areas popular wedding vendors too – because I have worked hard to create some relationships with great people across the region. Wishing You all a wonderful and creative New Year! 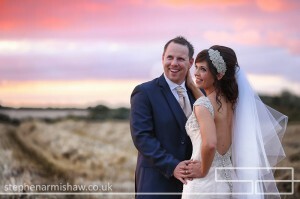 It was an absolute pleasure to capture Danielle and Craig’s Skidby Millhouse wedding with a lovely couple, great crowd and one of East Yorkshire’s funkiest wedding venues. 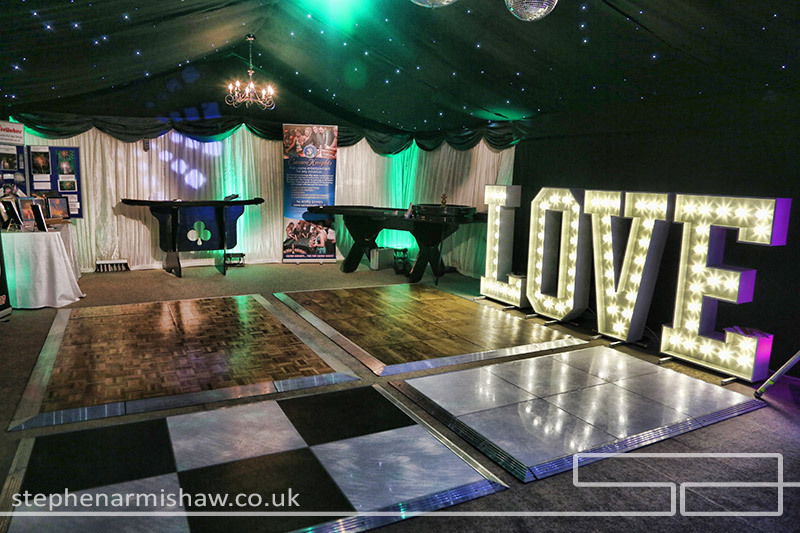 After capturing over 1300 weddings at many different locations it was great to see the recent fab changes at this Skidby venue have worked so well. After capturing the Bridal preps with Danielle and Her Bridesmaids at a local hotel, we headed into Beverley (where my top portraiture studio is based!) 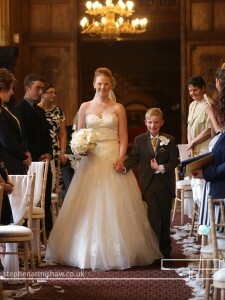 to the Registry Office for an intimate ceremony. Craig was very laid back (even wearing his fav Converse Boots!) 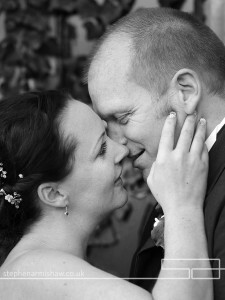 and easy to photograph in my relaxed wedding photography style. 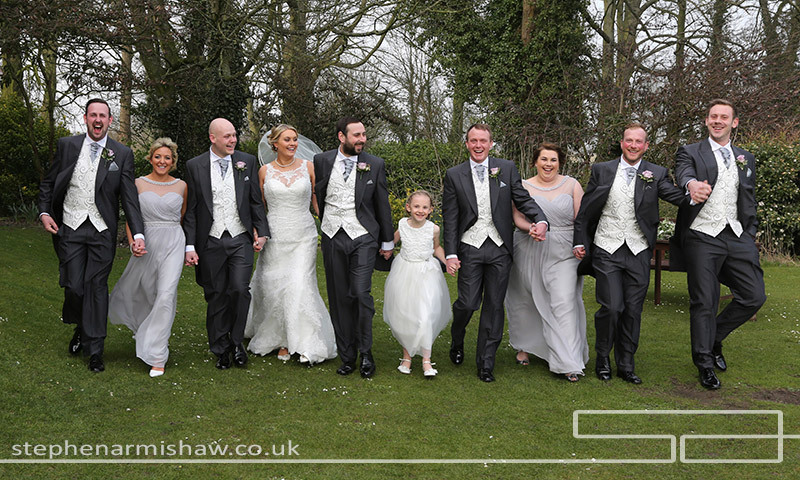 After a few group shots in the gardens, we set off to The Millhouse at Skidby to be greeted by Marc, Sasha Kate and the rest of the very professional team at this recently refurbished, and very well designed, venue. A few more informal group shots with a few well earned cool drinks, mixed with plenty of my well known reportage and candid shots set the pace. The Bride, Groom and myself then headed into the Millhouse’s lovely surroundings for a relaxed photo session taking us up to the new balcony area for a beautiful wedding breakfast. 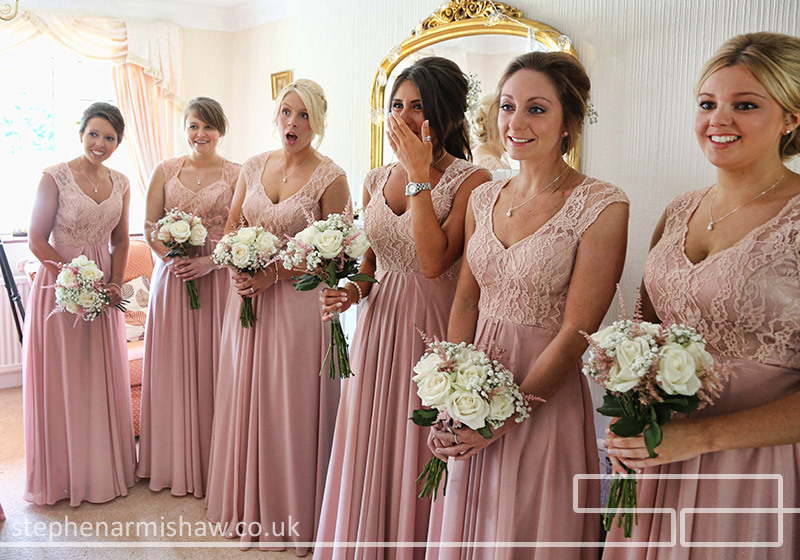 Danielle and Craig’s Skidby Millhouse Wedding was a great example of how I cover a relaxed, intimate celebration with the minimum of fuss but still capturing the essence and feeling for a very lovely couple. 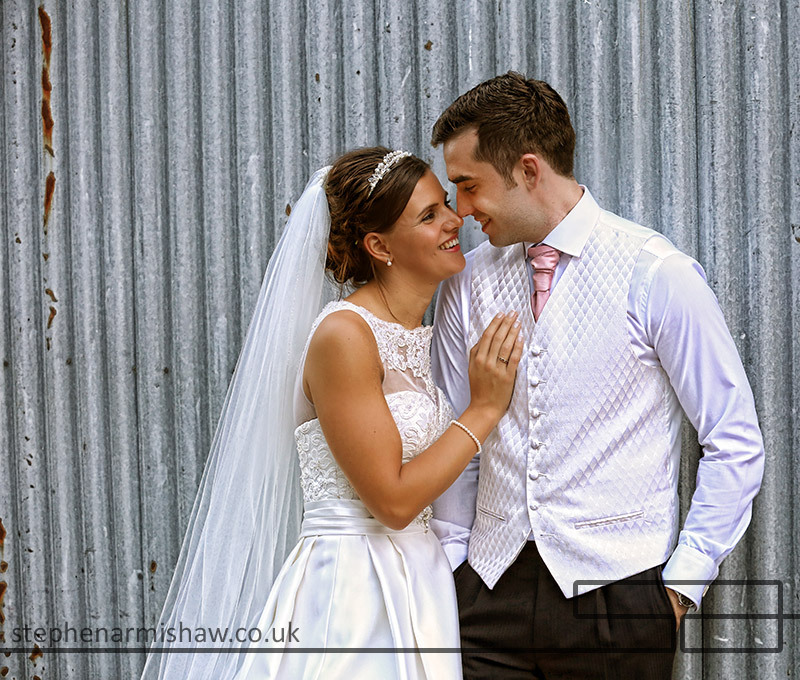 Please have a look below at some of the images I took from this lovely wedding celebration and perhaps take a look at my Pinterest galleries for Stephen Armishaw Photography. Most people know me as one of the Norths leading wedding photographers with over 1300 top weddings to my name, but not many realise I also run one of the areas busiest portraiture studios in the beautiful town of Beverley in East Yorkshire. 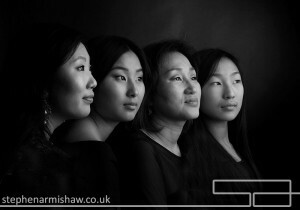 My modern custom built portrait studio caters for all types of work from relaxed, fun family and children sessions to cutting edge modelling portfolios and PR work. Giving all commissions plenty of time, we are definitely not a bums on seats studio who rushing clients in and out. 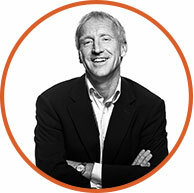 We give quality time to all of our clients. Looking for that special present for Christmas for parents, friends or loved ones? What better present than capturing a photo of kids (or animals!) 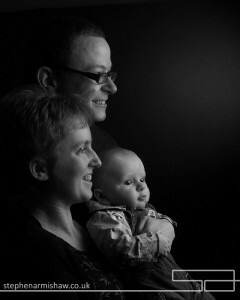 whilst they’re still young, than a relaxed photo shoot with an award winning photographer? The run up to Xmas is always very busy so booking early is a safe option to get those unique and very personal pressies for families and friends. Personalised gift vouchers with no time limit are available for any amount to give flexibility to our sitters. 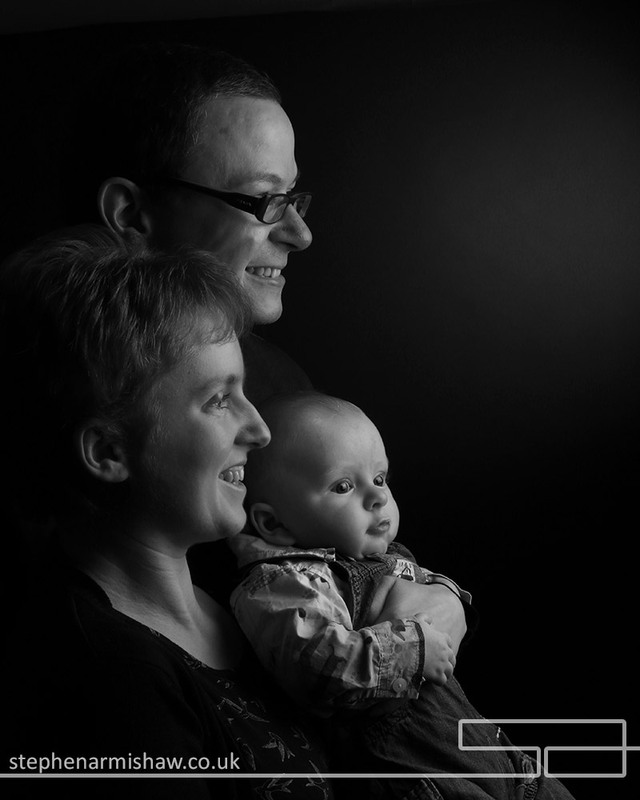 Please check out my main portraiture portfolio and take a look at my Portraits FAQ section too which should go some way to help you decide on your Christmas portrait photographer! 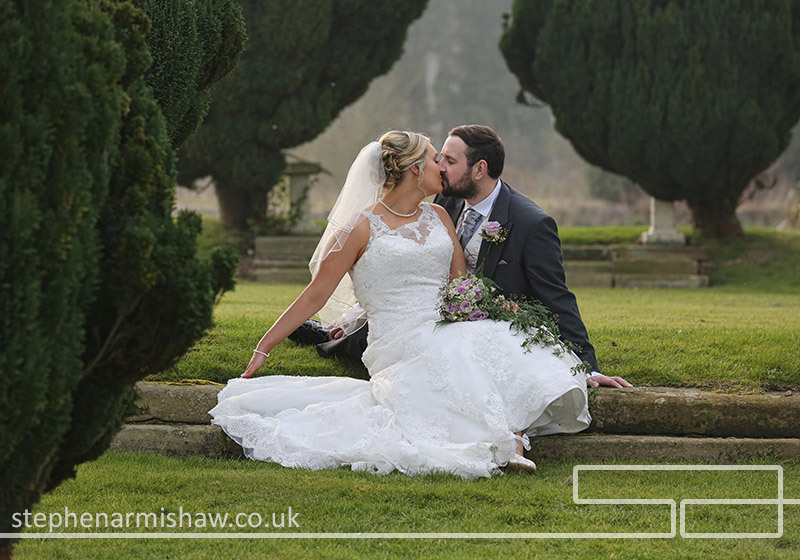 When you have a beautiful Bride and Groom with a fantastic church, stunning venue and a great crowd you know you have the recipe for a great East Yorkshire wedding shoot and Beth and Adam’s Tickton Grange Wedding was just that! 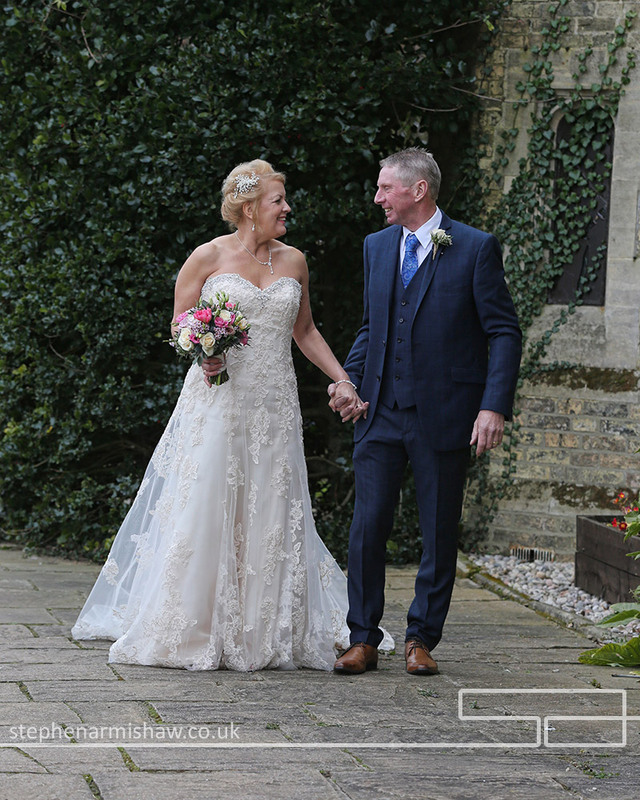 Having covered over 100 weddings at the Beverley Minster and over 200 at the fab Tickton Grange, it was always going to be a pleasure to capture these guys too. Arriving at Beth’s Beverley family home to catch the bridal preparations in my relaxed style, and with the sun already out, the scene was set and with Mum being a hair stylist things were right on time. 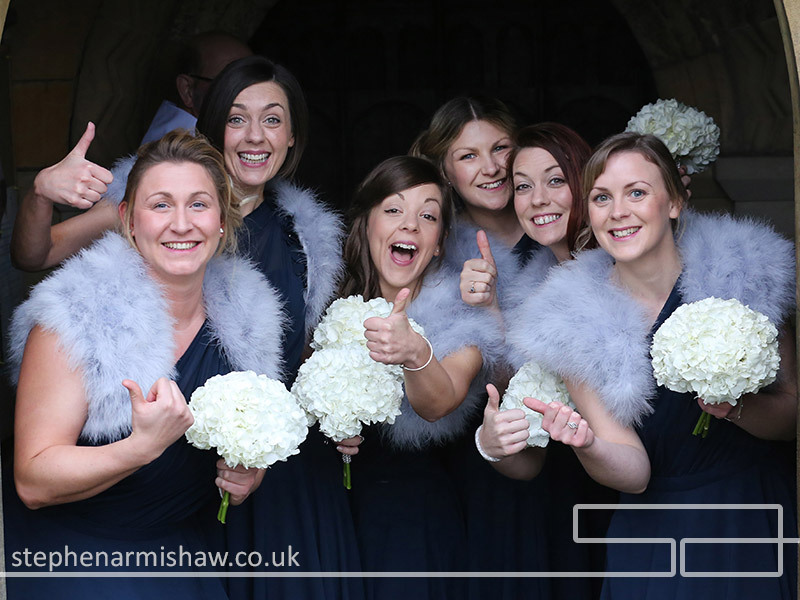 Lots of emotion mixed with excitement helped me catch my relaxed reportage and posed images before setting off to capture the guys at the majestic Beverley Minster. 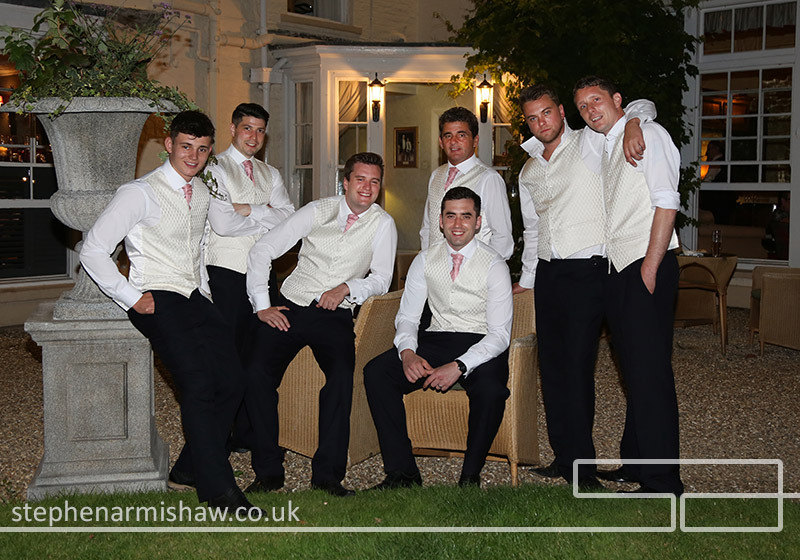 Oh, and Adam and his band of brothers had scrubbed up well and looked immaculate too! 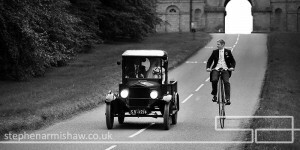 Beth arrived in style in East Yorkshire Cars and floated into the ceremony in a stunning dress (as always!) from Jacquelines of Beverley and lovely flowers by Sarah Slator. 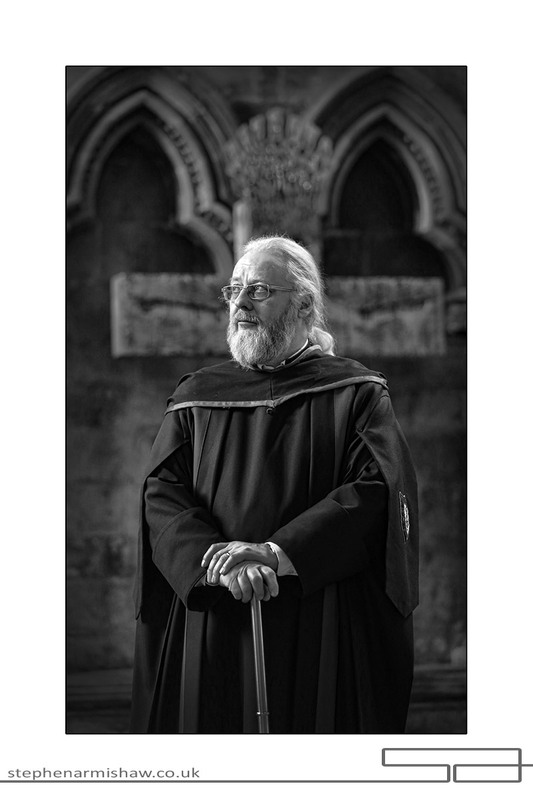 With my vast experience of working in the Minster, I was able to capture the intense and fun moments during the lovely service. 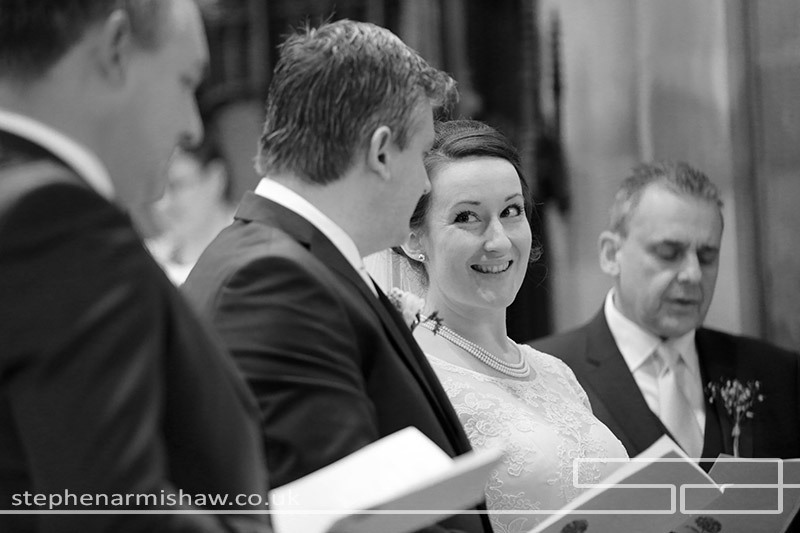 After the group shots were effortlessly taken, I took the very happy couple back into the church for some of my trademark beautiful classic images before setting off for the reception. 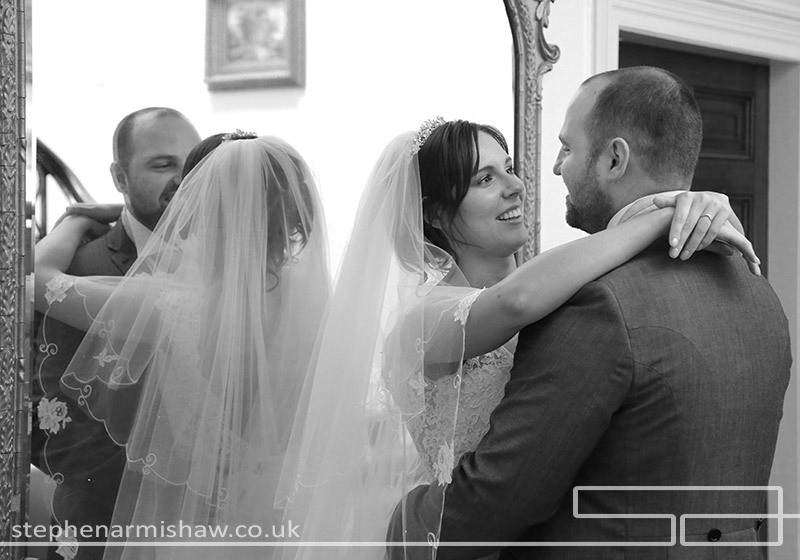 As usual at my weddings, the day was broken up into small photo sessions so the couple were never away from their guests for too long, giving them time to relax and take everything in. 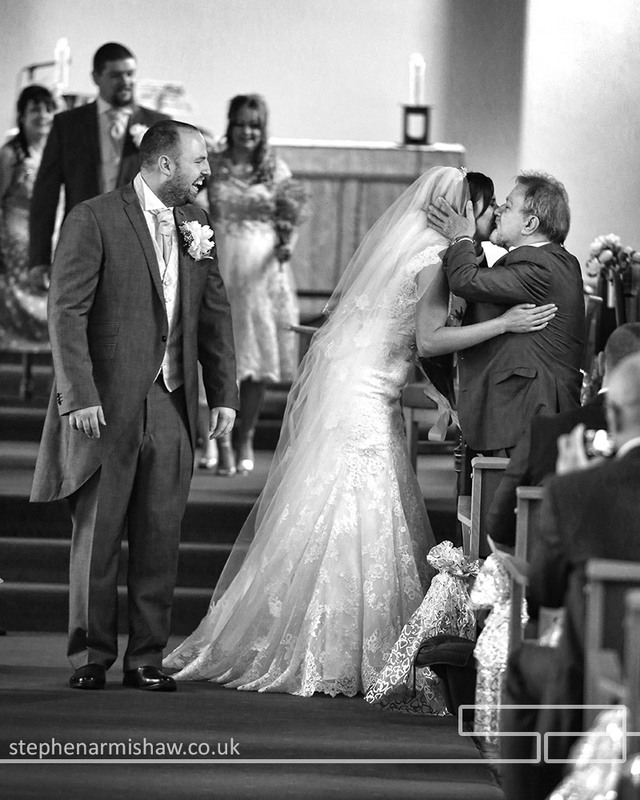 My vast experience as a top Beverley and Hull wedding photographer allows me to interact with guests without being intrusive, to capture the reportage images my clients love. 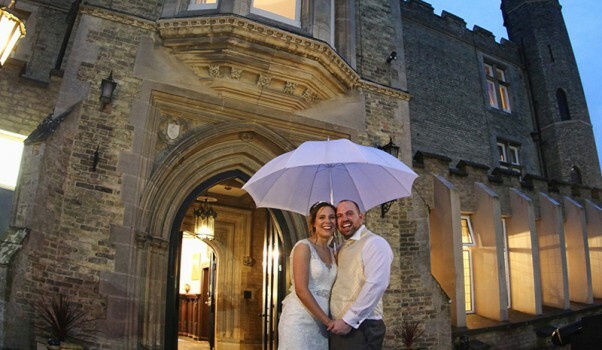 After taking the couple for a shoot around the incredible grounds and funky out-buildings, Beth and Adam rejoined their guests for a typically wonderful Tickton Grange wedding breakfast! The evening celebrations were, as expected, “banging!” with the dance floor never empty and a packed house full of friends and family. 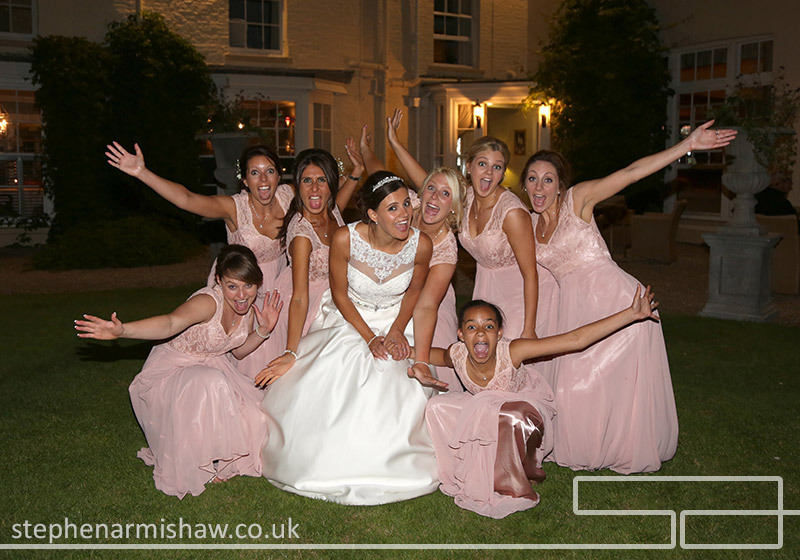 As always with my evening bookings, I stay late, not just to the first dance, so was able to capture the real fun, as can be seen from the images below!! A fantastic day and evening, and a pleasure to be there.